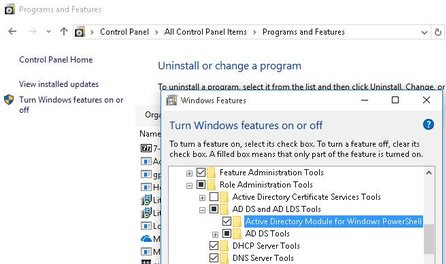 Most AD administrators use the repadmin (appeared in Windows Server 2003) and replmon (must be copied from Support Tool for WS2003) console tools to monitor and control Active Directory replication. In Windows Server 2012, Microsoft added a number of PowerShell cmdlets to manage and check replication status in the Active Directory forest. In this article we’ll look at the main useful PoSh cmdlets that an AD administrator can use to control replication between domain controllers. Note. Active Directory Module for PowerShell is automatically imported on the domain controllers starting from Windows Server 2012 R2 or later. If there are no errors, the cmdlet will return nothing. Otherwise, you will see the list of failed objects and the causes of replication errors. In this case, you can see that there was the domain controller dc2 (link failure) connection problem on February, 22, but there are no errors at the moment. 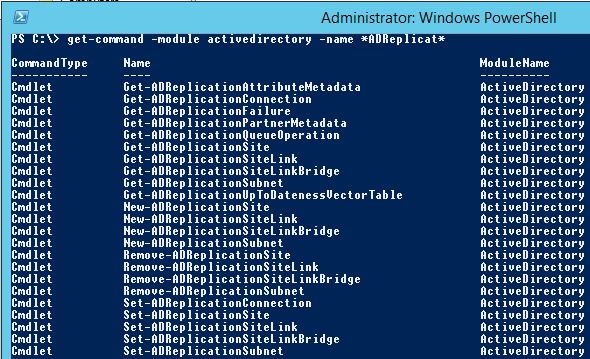 Get-ADReplicationConnection cmdlet is used to display information about the replication partners for the current domain controller. Using Get-ADReplicationQueueOperation cmdlet, you can get the list of pending replication operations on the specific server. Thus, PowerShell is a powerful and convenient tool for replication monitoring and troubleshooting in the AD forest, which can be a 100% substitute for repadmin in the Active Directory replication management tasks.